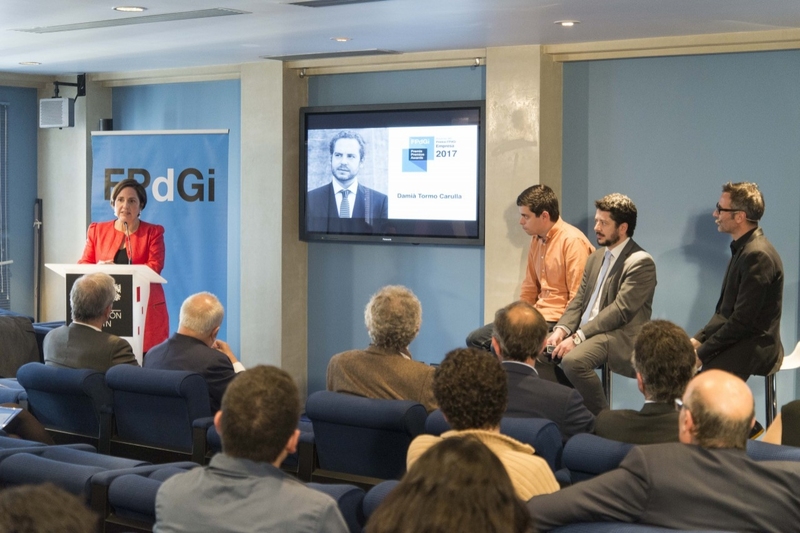 Damià Tormo Carulla has won the 2017 FPdGi Business Award. 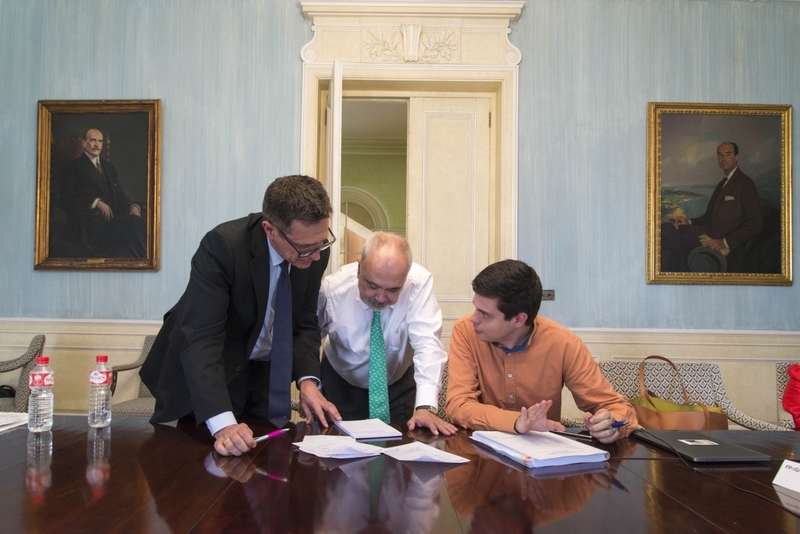 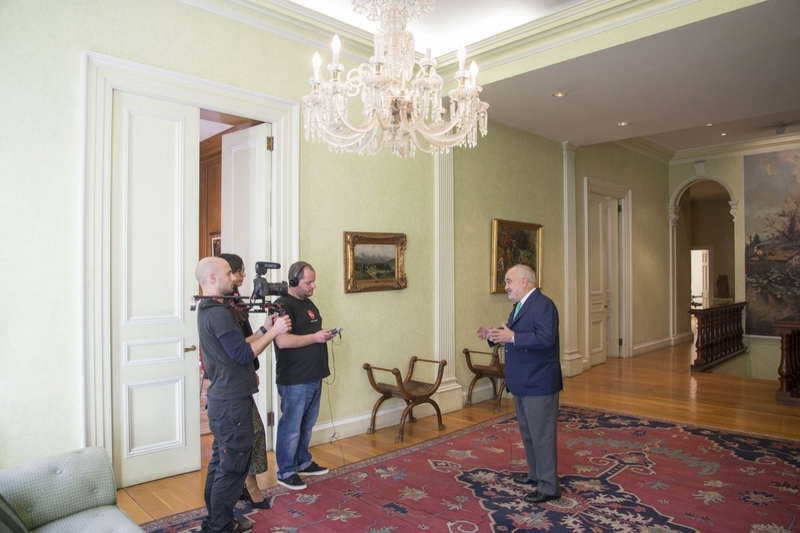 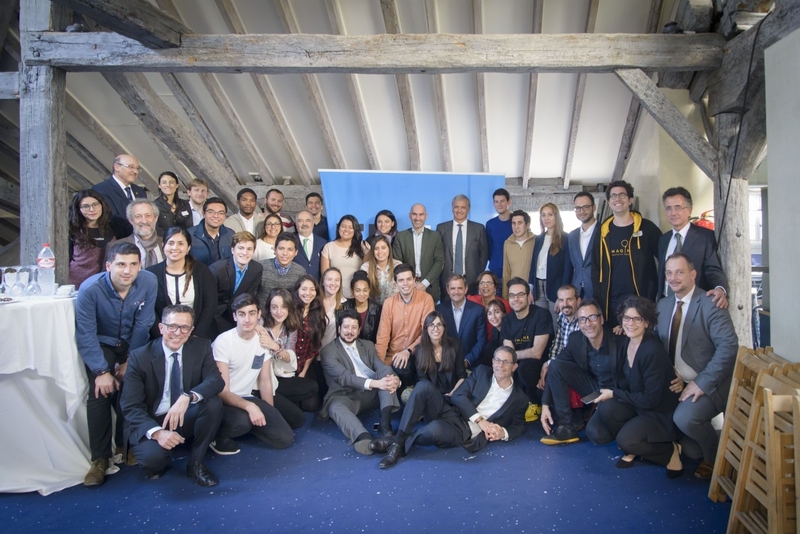 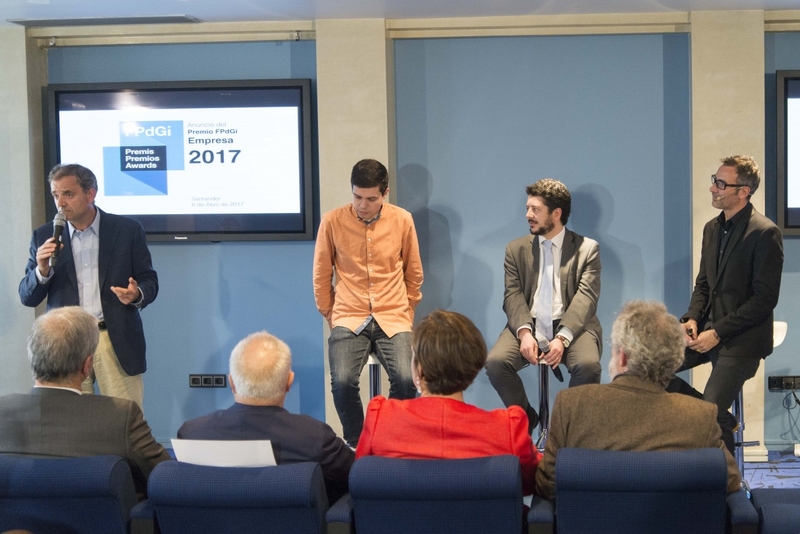 The winner’s name was announced today in an event held at the Botín Foundation in Santander, which was attended by more than fifty people. 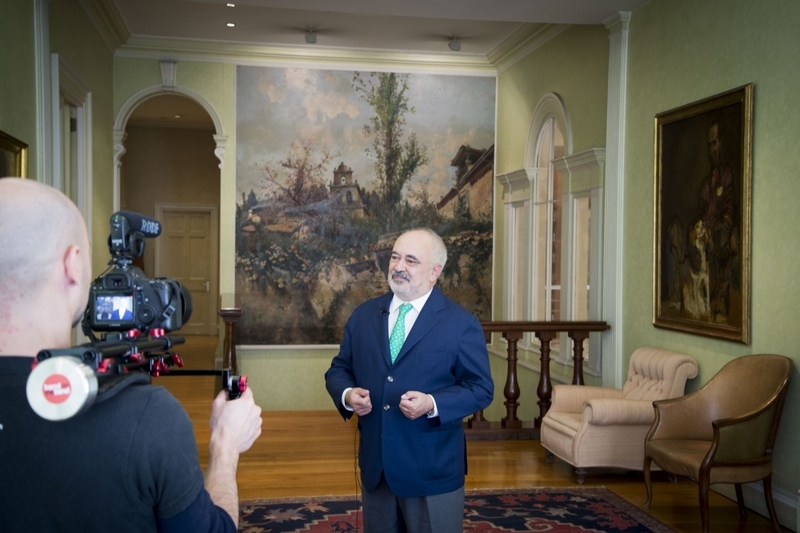 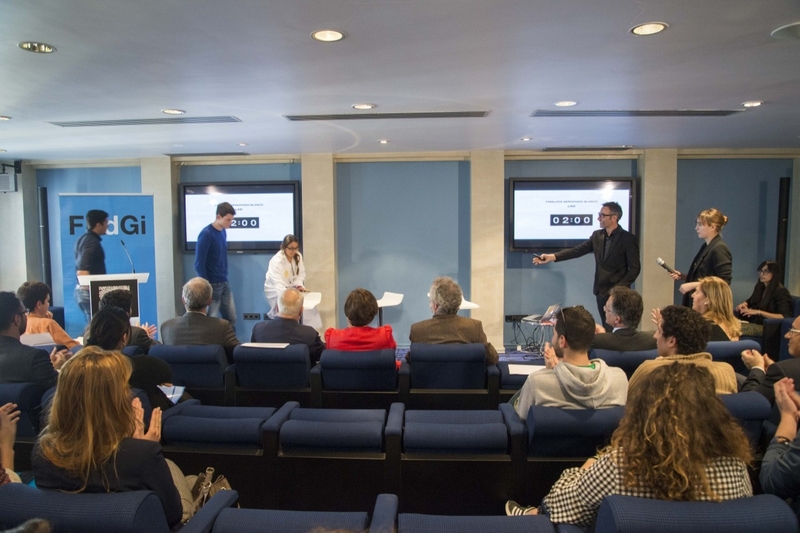 The jury announced its decision early this afternoon, highlighting Tormo’s brilliant scientific career and his ability to combine it with his entrepreneurial and investor side, allowing him to connect the world of research with successful entrepreneurial initiative in Spain. 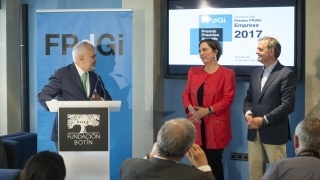 The jury was formed of entrepreneur, investor and technology sector executive Bernardo Hernández; economist and consultant César Molinas; managing director of Twitter in Spain, Pepe López de Ayala; executive specialised in the financial sector Carina Szpilka; and businessman and 2010 Princess of Girona Foundation Award winner, Pau Garcia-Milà. 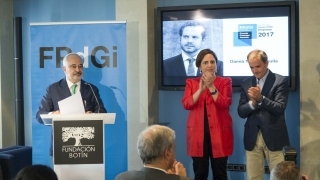 On hearing the verdict, Damià Tormo said he was delighted with the award and that he felt “honoured to form part of this family of renowned award winners”. 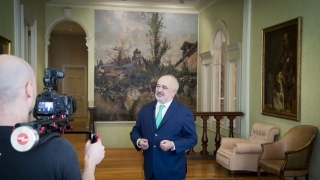 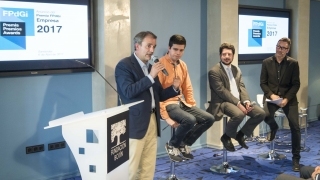 Tormo explained his evolution from research to the business world and then to the risk capital sector by saying: “When I was a researcher my discoveries only appeared in the pages of scientific articles and I wanted them to have an impact on society, so I decided to seek support for my own projects”. 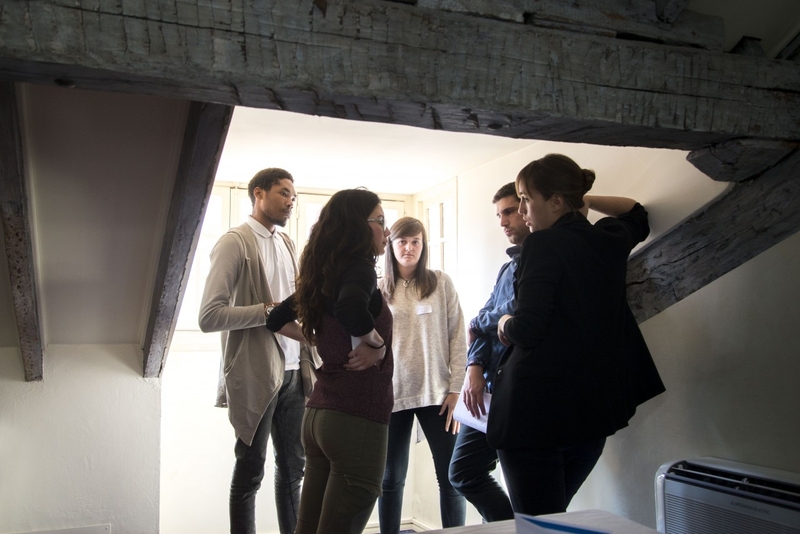 “Knowledge transfer is what motivates my work”, added Tormo, “but I wouldn’t have achieved what I have without surrounding myself with the right people, who could advise me and help me avoid making mistakes”. 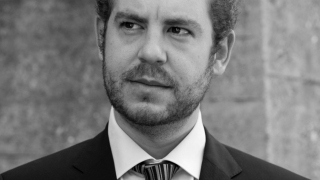 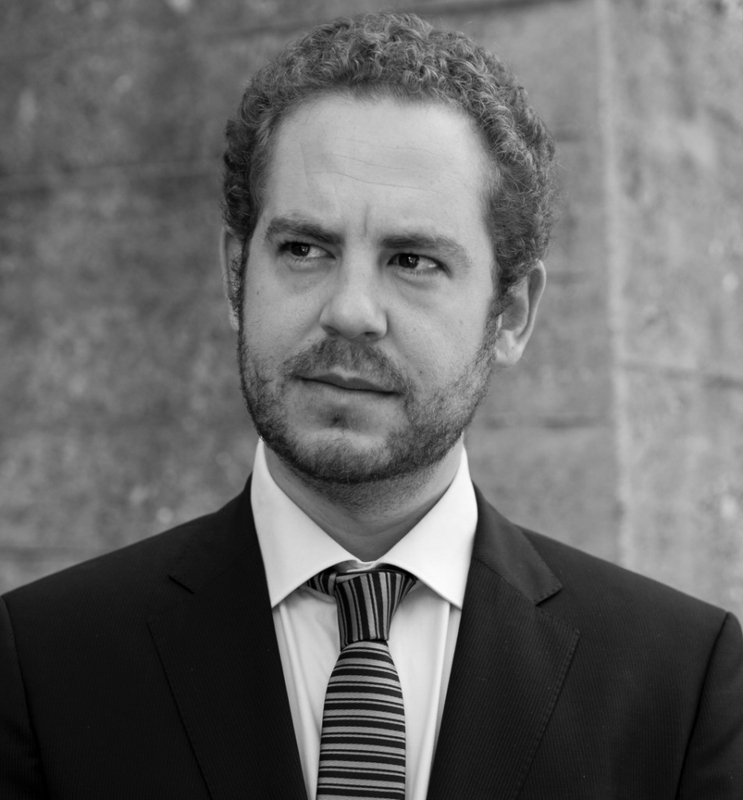 Damià Tormo Carulla (Valencia, 1981) graduated in biology from the University of Valencia and FHS Bonn-Rhein-Sieg (Germany) and holds a doctorate in immunology and molecular genetics from Rheinische Friedrich-Wilhelms-Universität Bonn (Germany). 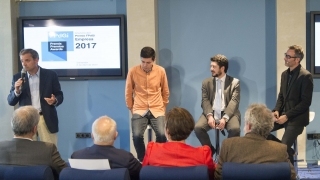 Damià also has an international master’s in biotechnological management (MBM) from IE Business School and has spent time as a student and researcher at institutions such as the University of Cambridge (UK), Michigan University (USA) and the Spanish National Cancer Research Centre (CNIO). 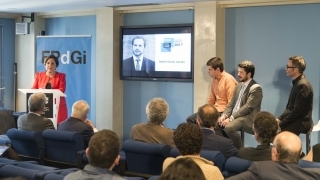 Currently, Damià is the founder and managing partner of Fondo Columbus Venture Partners and founder and CEO of different biotechnology companies that are developing drugs, software, biotechnology services and cosmetics. 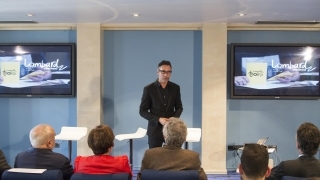 Damià is also the founder and CEO of Artax Biopharma, an American company that develops drugs to treat autoimmune diseases. 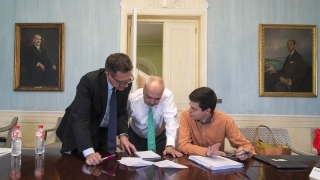 Previously, he was the founder and CEO until 2013 (now he is the president) of BiOncoTech Therapeutics (Spain) which develops drugs to treat aggressive tumours. 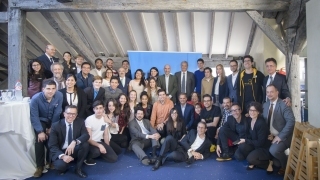 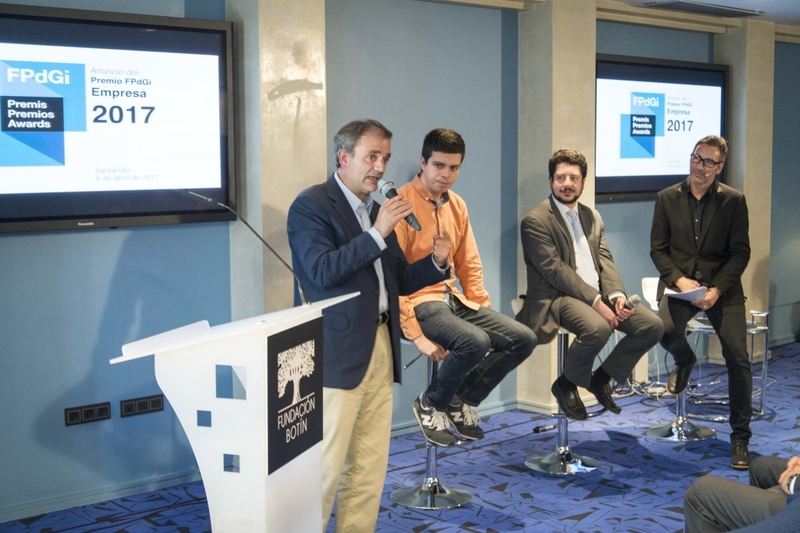 The award, which last year went to businessman and co-founder of Carto, Sergio Álvarez Leiva, for his ability to represent data using cartography, recognises the careers of young people with entrepreneurial initiative who have led or are promoting original and viable business projects. 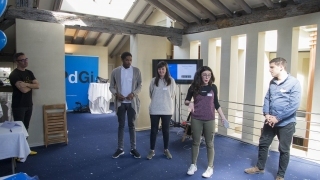 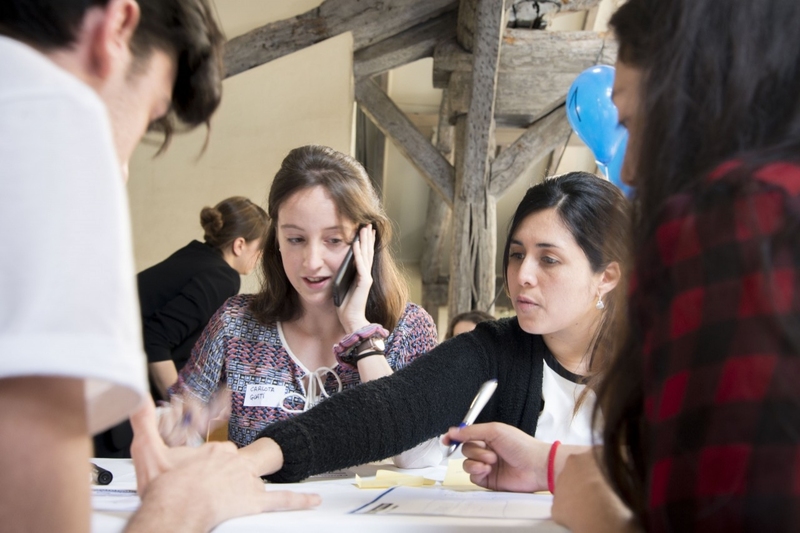 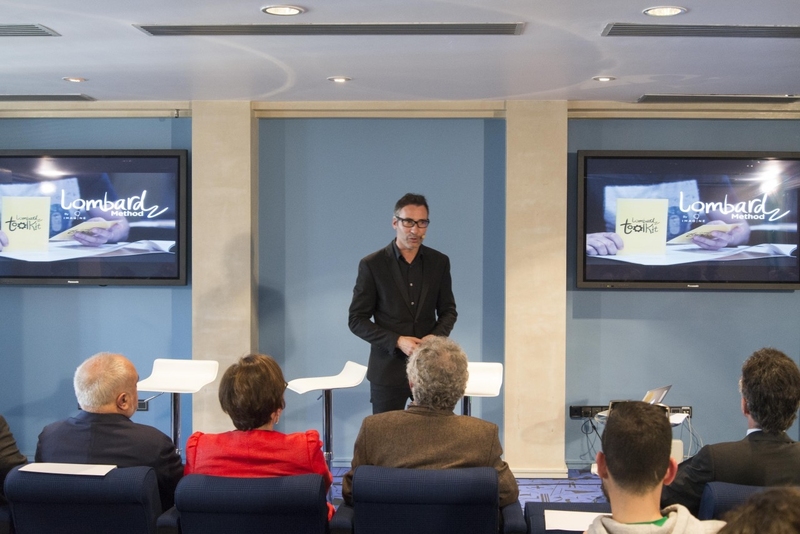 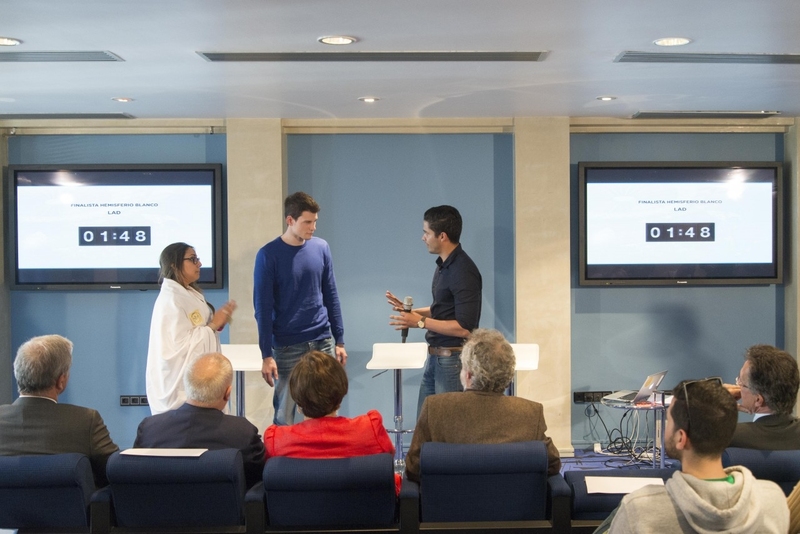 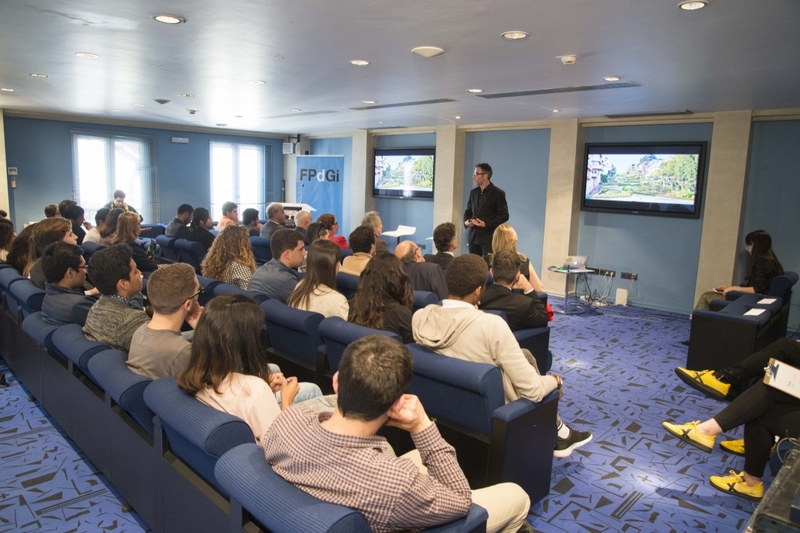 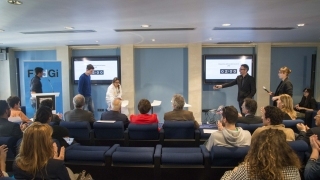 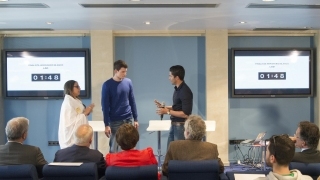 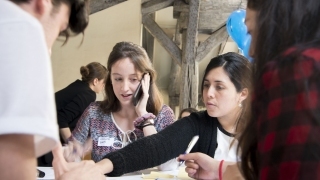 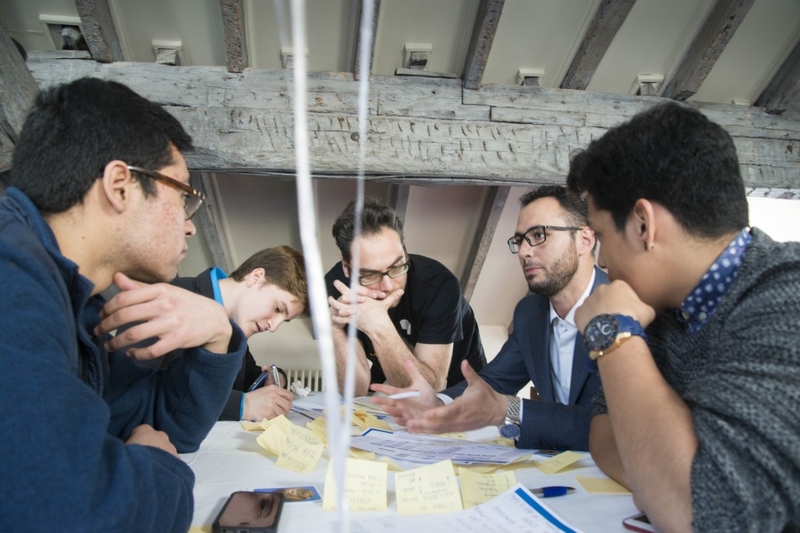 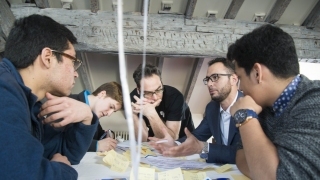 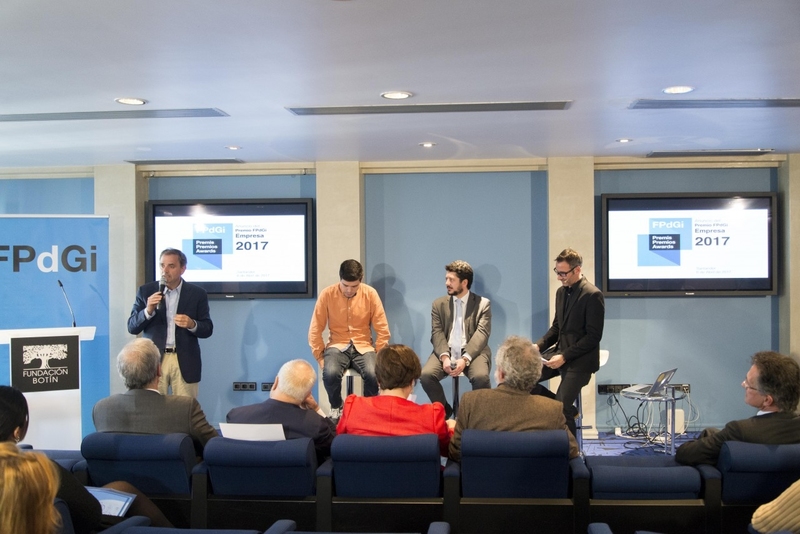 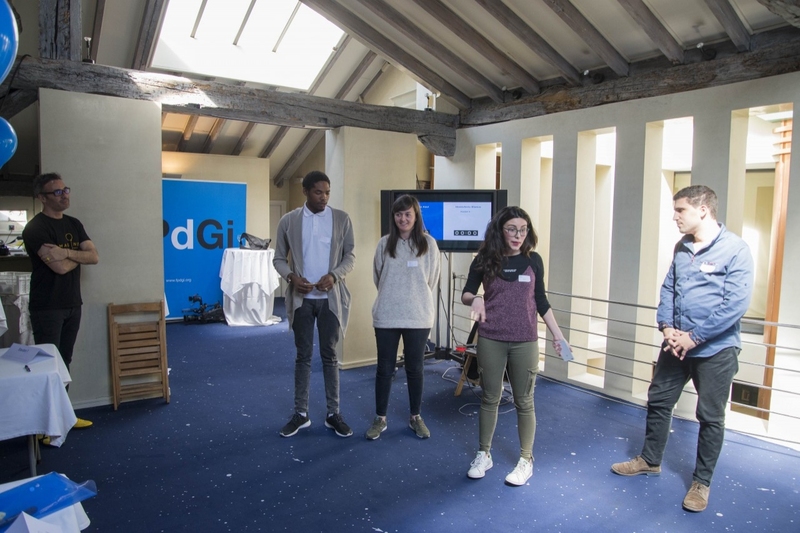 The announcement event for the 2017 Princess of Girona Foundation Business Award began at three o’clock in the afternoon with a parallel activity involving a workshop designed by entrepreneur Xavier Verdaguer (Imagine Creative Center) who set the participants the following challenge: What will the job of the future be like? 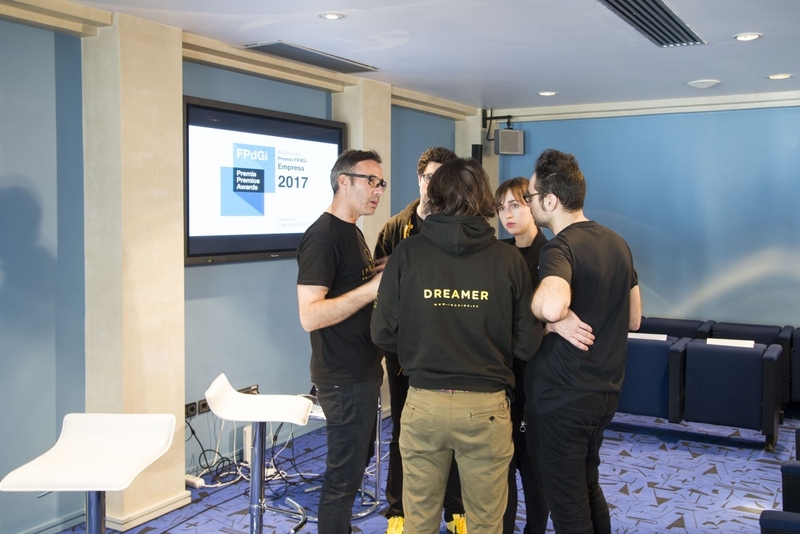 The young people taking part divided up into teams and worked against the clock with just 100 minutes to design a project that would successfully resolve the problem they had been presented with. 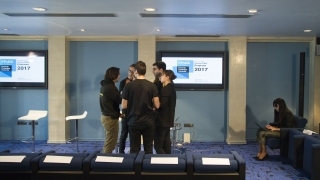 The winners of this ‘ideas marathon’ were the LAD team, who thought up a company that would certify the quality and safety of robots. 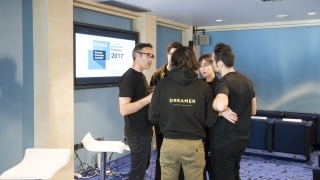 According to the members of the team, their idea aimed to demonstrate that “we should not be afraid of new technologies”. 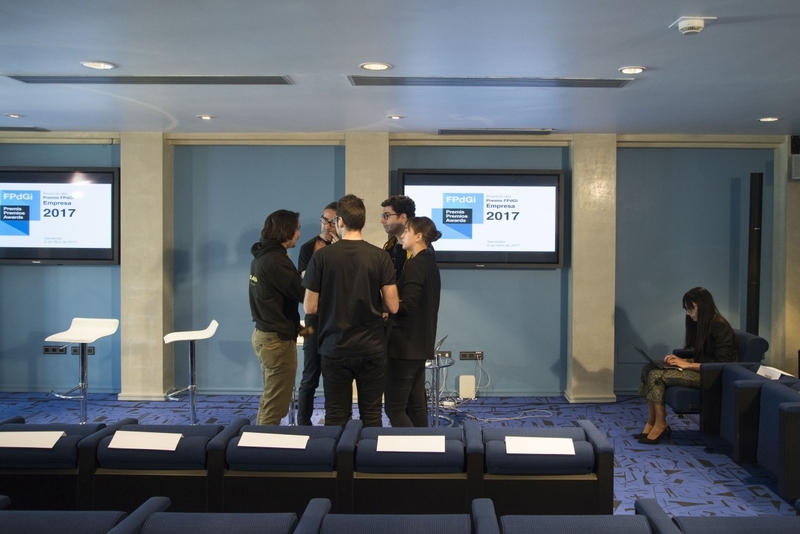 The LAD team received an accrediting diploma. 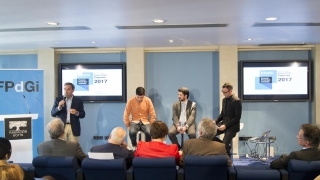 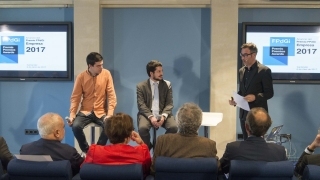 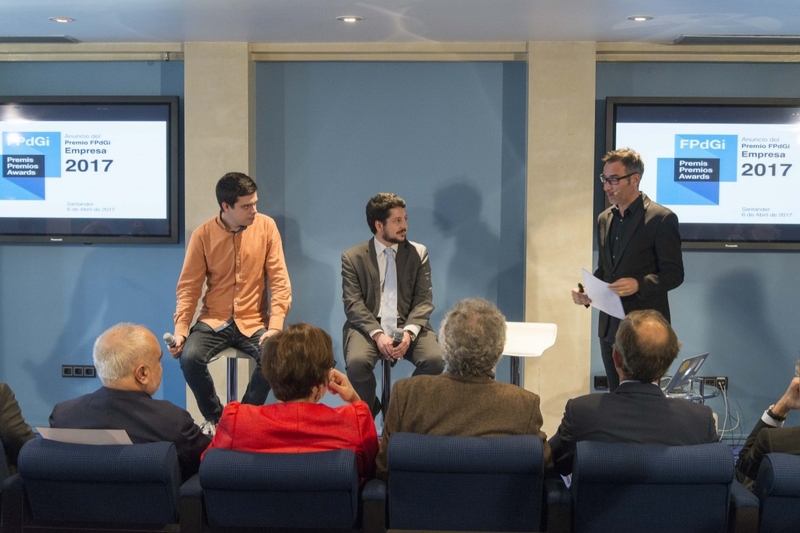 After the workshop ended, Verdaguer led a panel discussion about the business world and the future of companies with the participation of some of the previous winners of the Princess of Girona Foundation Business Award such as Ignasi Belda (2014 edition) and Pau Garcia-Milà (2010 edition). 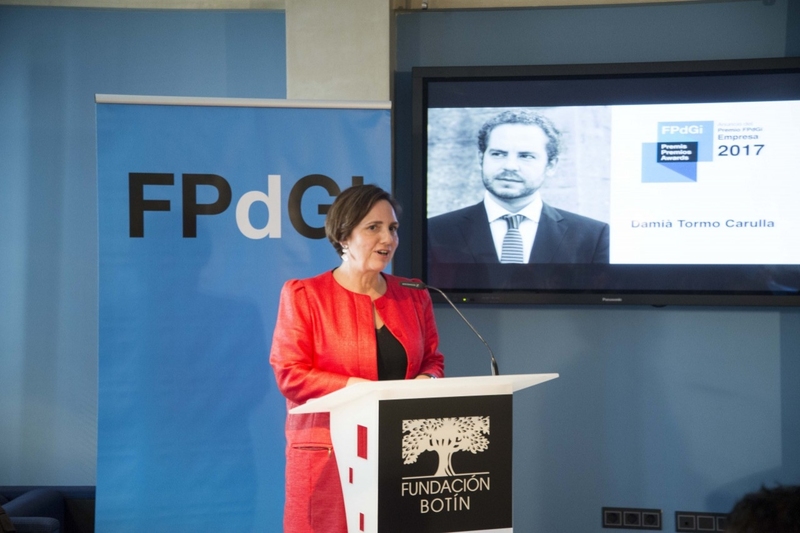 The third stop was in Soria, in an event presided over by Her Majesty the Queen of Spain, where Miriam Reyes Oliva won the Social Award for her personal career focused on solidarity and social impact by seeking equal opportunities and solutions in the complex area of autism. 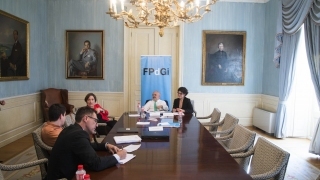 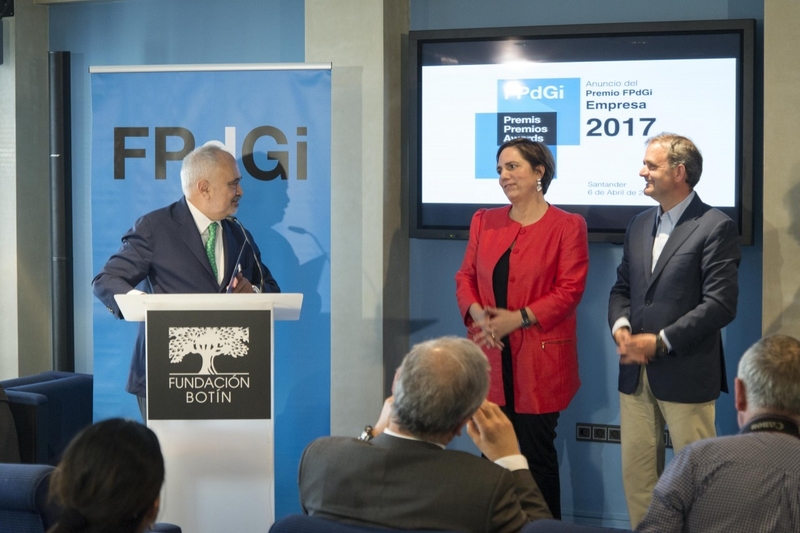 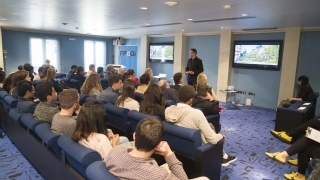 After stopping in Córdoba, Barcelona, Soria and Santander, the FPdGi Awards tour will end its journey on 24 April in Figueres where the winner of the 2017 Princess of Girona Foundation International Award will be announced. 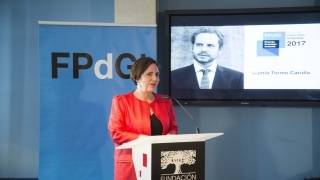 The Princess of Girona Foundation Awards, with a prize of €10,000 and a reproduction of a sculpture by Juan Muñoz, recognise the innovative and exemplary work of young people aged between 16 and 35 years, and that of an organisation in the European Union working for young people. 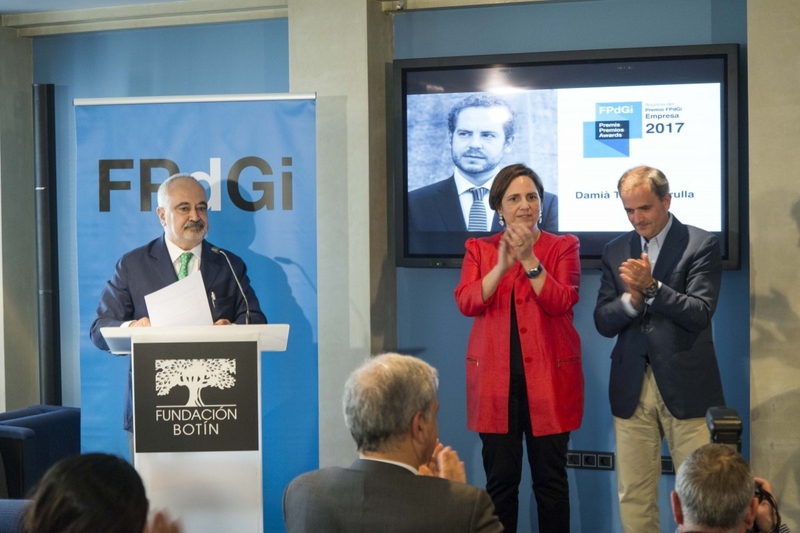 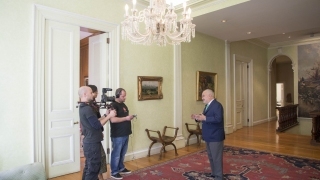 The awards will be presented on 29 June in a ceremony presided over by Their Majesties the King and Queen of Spain at the Girona Conference Centre.